Your experience with a new mattress will evolve and change over time as your body adjusts and as the mattress breaks in and begins to soften with wear. Knowing what to expect, what not to expect, and what to do if something goes wrong will help you maintain your satisfaction with your purchase. The first thing to know is that your body will take a little time to get used to your new mattress. Not feeling comfortable right away is not a reason for panic. Sleeping on a new surface is a big change for your body, one it needs a little time to adjust to. In most cases, concerns about brand new mattresses resolve by themselves within about a month. We will walk you through the most common concerns and experiences people have in the first 30 days of owning their mattress. Be aware that many mattress warranties, regardless of total length, require you to try the mattress for at least 30 days before initiating a return or exchange. Check your mattress receipt and return policy. 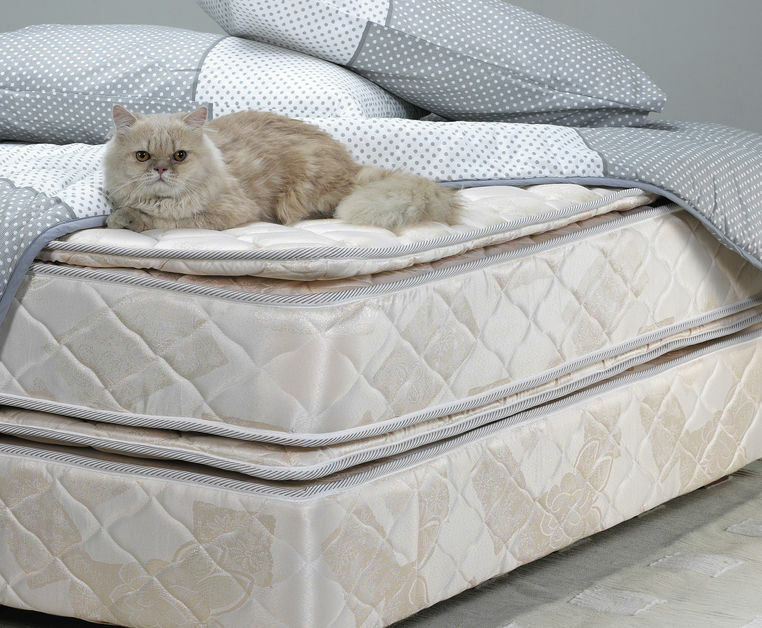 Taking proper care of your mattress is a good way to increase its longevity. This guide offers the basics for keeping your mattress clean and in good condition throughout its lifespan (also important to obtain warranty service if needed). We also talk about what you can do about problems like sagging or body impressions. In the unlikely event that something goes wrong with your mattress, we've also included a guide to understanding your warranty and making a warranty claim (as well as what to do if your claim is denied). Finally, we'll show you how to notice the signs that your beloved mattress is wearing out and in need of replacing—and a few suggestions for sleeping more comfortably on a mattress that's nearing the end of its lifespan. Not sure which type of bed to buy? Answer a few questions to see good matches for you with GoodBed's unbiased, personalized results. This is awesome. Now I feel equipped to walk in somewhere and say with certainty, "This is exactly what I'm looking for." Why Are Mattresses So Expensive? What size of bed are you looking for?